One of the most difficult things a pet parent will face is coping with the loss of a pet. There is no single rule to be followed when you are faced with the decision of whether or not to help your pet cross over “the rainbow bridge”; every situation is different. As hard as it may be to discuss this issue we encourage you to talk to us before the situation becomes urgent. Asking questions and making some important decisions beforehand may help lessen the stress for both you and your pet when the time does come. Does your furry friend still greet you at the door when you come home? Is he happy to see you? Does she avoid her favorite activities? Is she confused in familiar surroundings? Does he spend more time hiding from the family? Is she uninterested in food? Does he seem to have more “bad” days than “good”? When the time comes euthanasia provides a peaceful end for your beloved family member. If you wish, you may be present during the procedure or, if you are unable to stay, one of our staff members will remain with your pet in your place during the entire process. We encourage you to discuss after-care before the day arrives to say good bye to your furry family member. If you wish to bury your pet on your own property we suggest contacting your town in advance to check the local laws. If you wish to have your pet cremated we have partnered with Forget-Me-Not Pet Crematory to offer cremation services. You may choose to have your pet’s ashes returned to you, or to have a general cremation where your pet’s ashes are scattered at the Animal Rescue League. All pets that are to be cremated are picked up by Forget-Me-Not at our office and, for those who choose to have the ashes returned, the ashes are returned to our office for you to pick up. 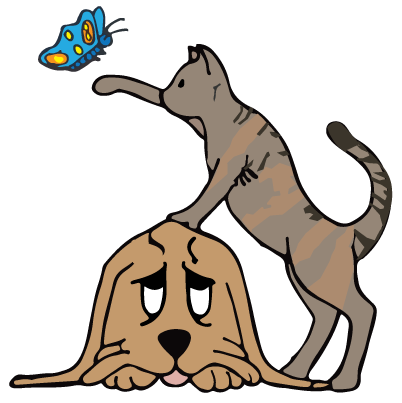 If you choose to have your pet’s ashes returned Forget-Me-Not has a variety of urns and keepsakes for you to choose from that you can view by visiting the Forget-Me-Not website. Only you can know when it is time to say goodbye to your pet, but we are here to offer any help you may need to bring you comfort that you are making the right decision. Please don’t hesitate to call us at 603-329-6553 to ask any questions or discuss any concerns you may have when faced with this difficult issue.